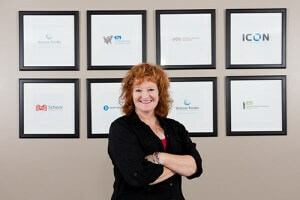 Jackie has over 20 years of experience in many diverse rolls the insurance industry. Jackie’s past experience includes developing her own agency in Arizona, working as an independent agent in Arizona and California specializing in high net worth accounts. She worked as a claim analyst for Travelers Insurance in Washington State and both personal and commercial underwriting in Washington State. She also taught the California Insurance Agents 52 Hours of pre-licensing education and continuing education classes at AD Banker in Irvine, CA. Jackie completed her CPCU designation in 2013 and she has a bachelor degree from the University of Arizona. Jackie is currently supporting 3 Personal Lines Producers at Venture Pacific Insurance and enjoys coverage counseling with insureds to find the proper protection for client’s specific situation. In her free time, Jackie participates in local sprint triathlons and makes fine silver and sterling silver jewelry currently on display at the City of Brea Art Gallery Gift Shop. She is a member of the PMC Guild. She volunteers at her children’s school and in the Saddleback Valley Community youth volleyball league.